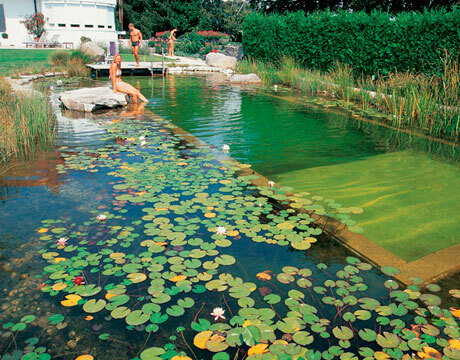 Have you ever heard of a natural swimming pool, ecological swimming pool? No, I’m not talking about those pools formed by the sea during the low tide that are frequent in the northeast of brazil, but a system of natural filtration swimming pool that is much more healthy without chemicals, and that still incorporates your swimming pool to the landscaping of your garden! The pools were very widespread in Europe during the 70’s and have gained popularity in Australia, Asia and the United States. 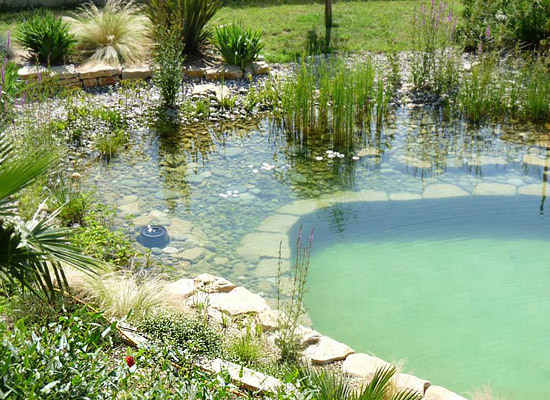 Different swimming pools artificial to keep the water clean needs to receive additives of chlorine and other chemical substances, abusing the hair and skin, the natural pools or biopiscinas do not need chemicals to keep the water filtered, since they use natural filters made with stones of different sizes and aquatic plants. 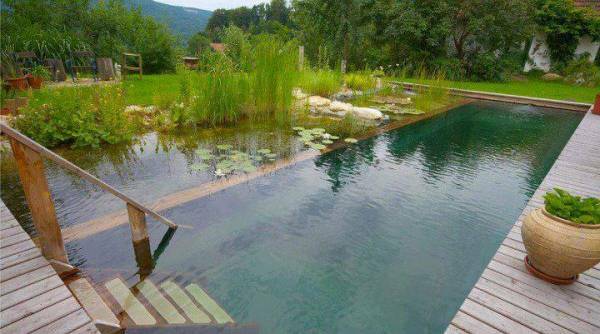 In Brazil the use of natural swimming pools is still little diffused, as the engessamento the state legislature says that all public swimming pools shall receive chlorine, keeping the PH between 7.2 and 7.8 and the Free Chlorine of 0.2 to 1 ppm (parts per million), or according to the law it is mandatory to chlorinate swimming pools, and even natural treatments, or with salt, ionization, system ultraviolet or ozone to be efficient. In some states the requirement of the health as to the amount of chlorine in the water is even greater, in São Paulo, for example, gets to be 2 to 4 ppm of chlorine in the water. However, national legislation has on the Quality of the Water of the swimming Pool, NBR 10818 1989, does not require any type of chemical treatment in the swimming pools in brazil. 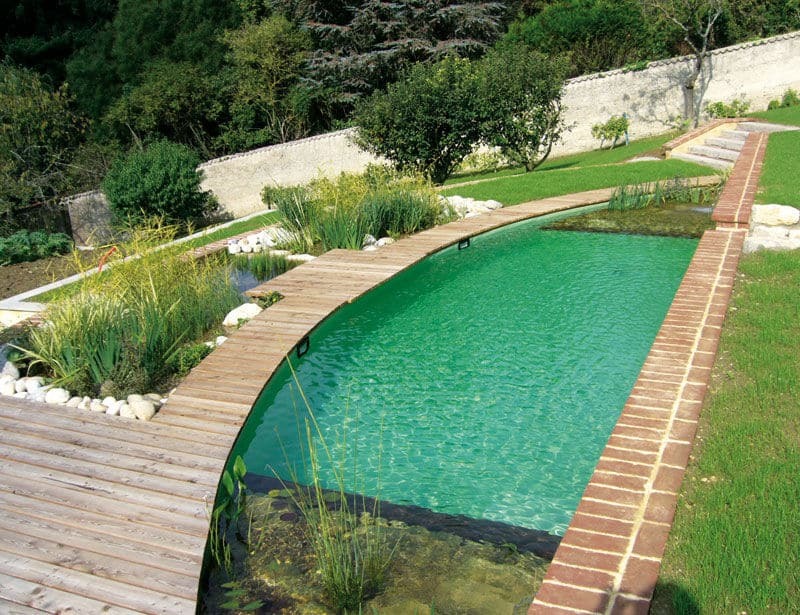 A natural swimming pool well-executed maintains a water with higher quality compared to the swimming pools chlorinated. Your pet will be able to drink water at will without harming the health. 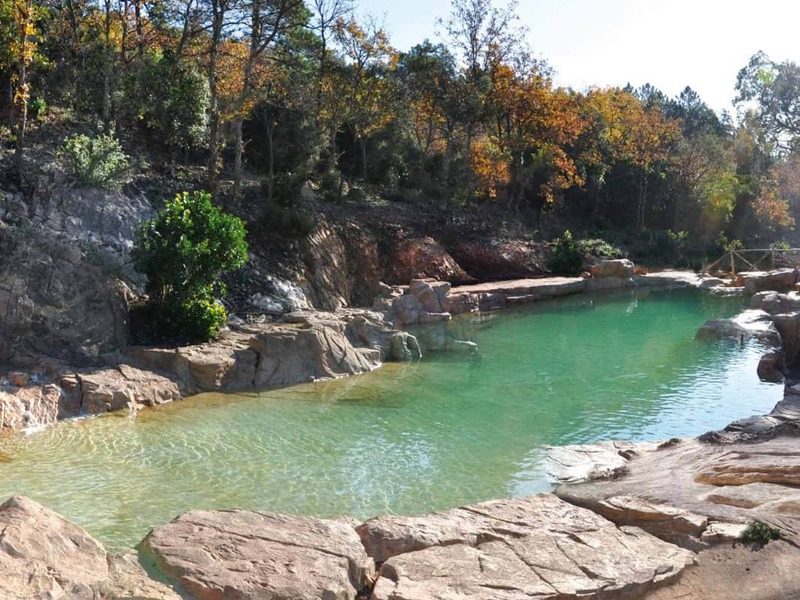 You have to consider that the natural swimming pools mimic a natural environment, the water is drinkable for you and for the animals that want to take advantage of the environment. 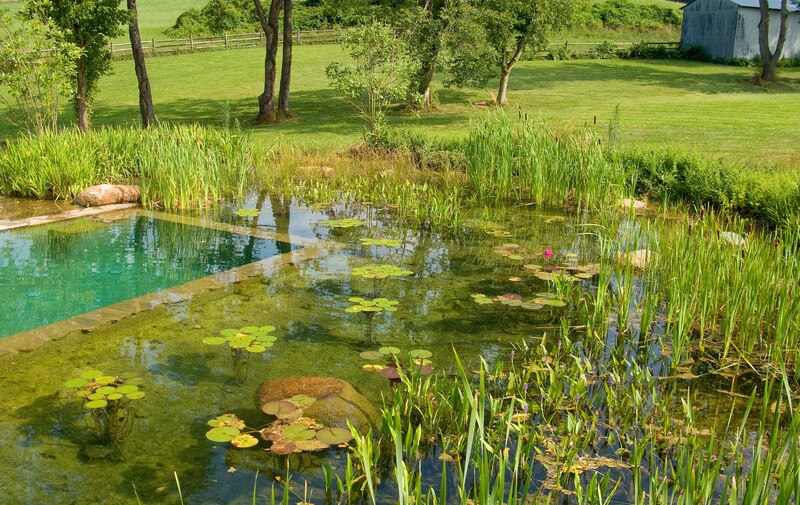 The pools biological or natural are made up of two main areas, the area to the bath itself, which is similar to a common pool, but that is connected to an area for vegetative regeneration, which must be protected with canvas and also with a short wall to separate the stones and the plants in the bathroom area, but allows the flow of water. 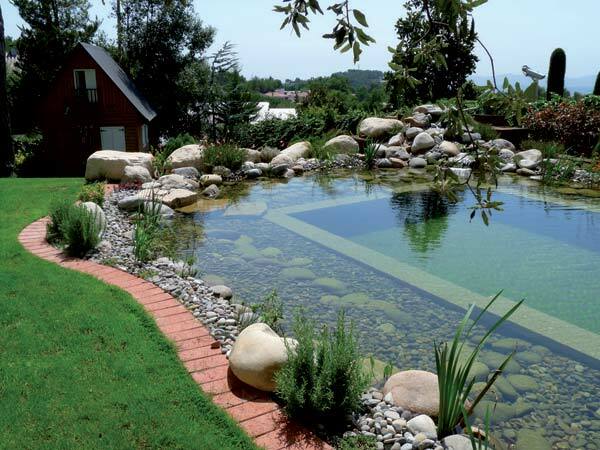 Some pools biological can still count on a system of UV filter that complements and sterilize the water and an aeration system to oxygenate the water. 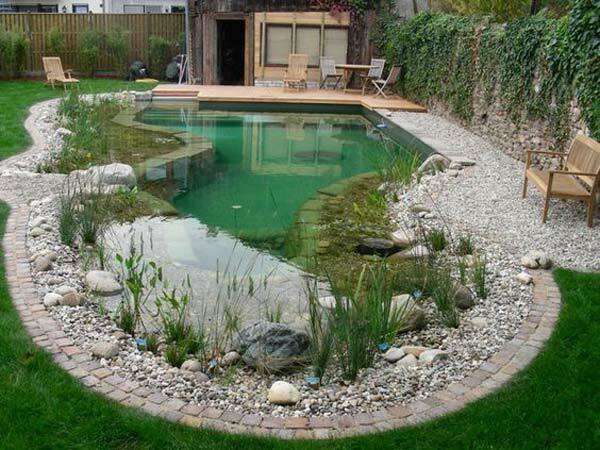 But, remember, if you want to make a natural swimming pool hire a company that specializes in the subject, otherwise you may have problems with bad smell by the decay of plant species, formation of moss, cloudy water and bacteria, unfit for bathing.